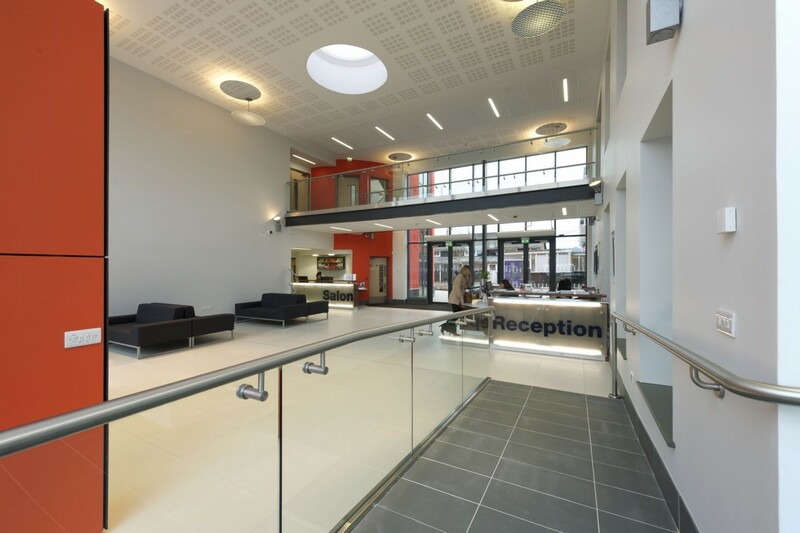 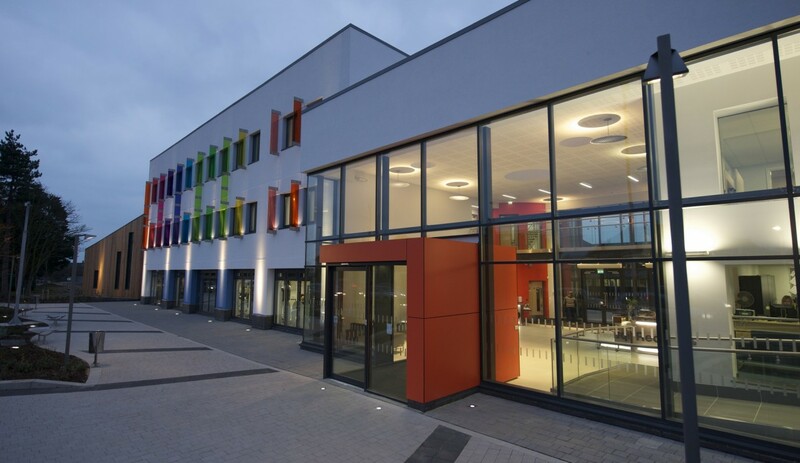 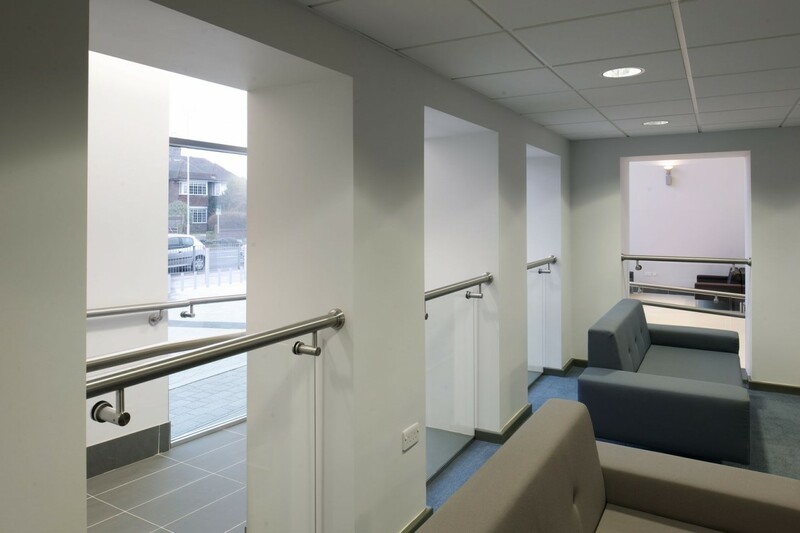 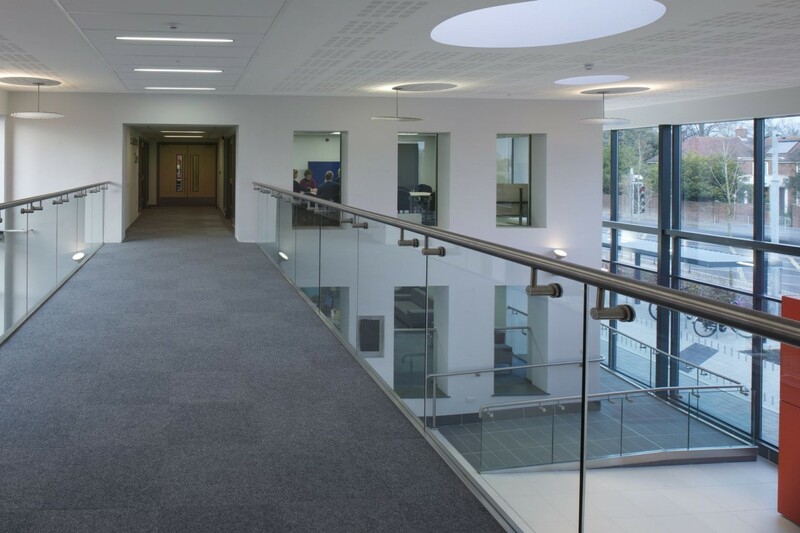 At Northbrook College the architect was looking for a balustrade system that would allow light to diffuse through the new building to provide an open and fresh atmosphere which in recent trials has proved to be conducive to a student’s learning experience. 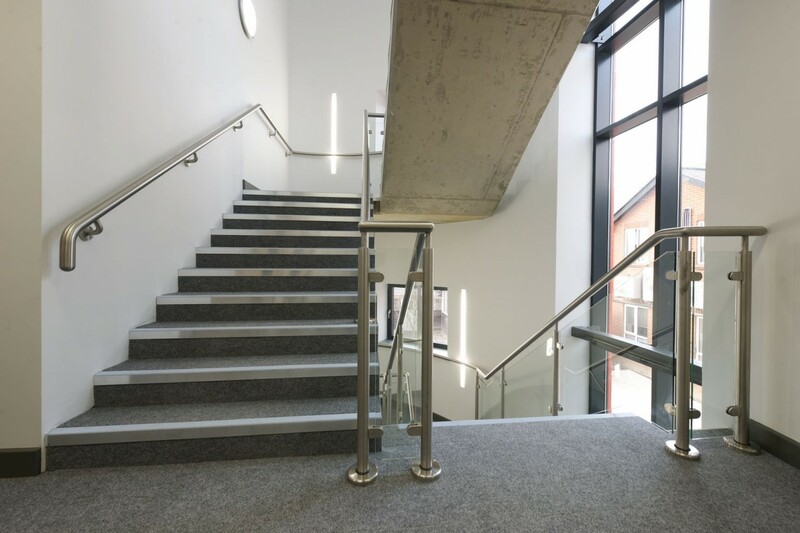 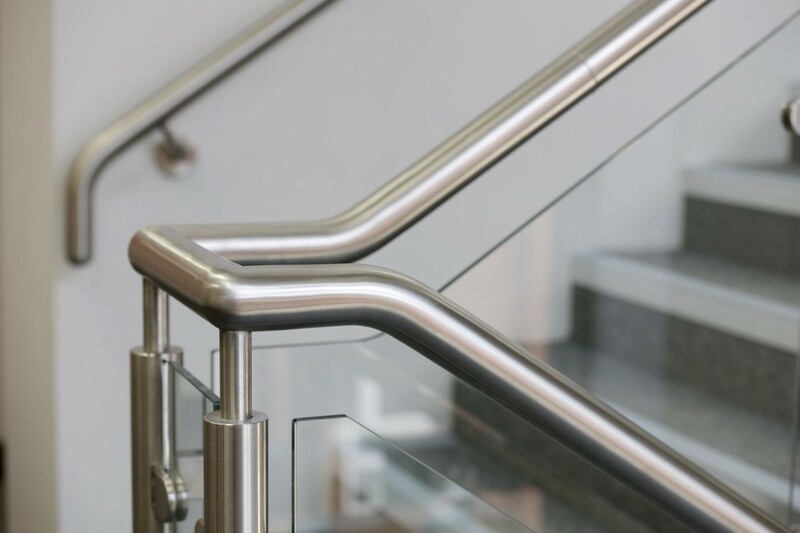 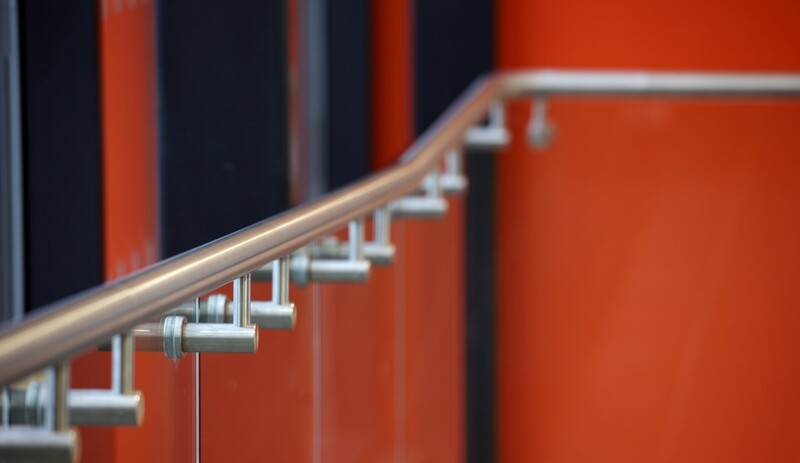 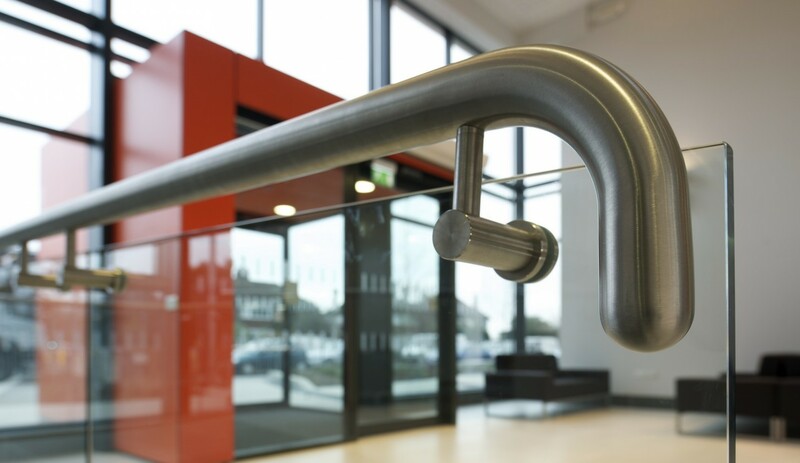 We were able to achieve this effect by drawing on our experience from similar education projects we had undertaken in the past and came up with a solution using our B40 range of seamless structural glass balustrades, complete with offset satin stainless steel handrails. 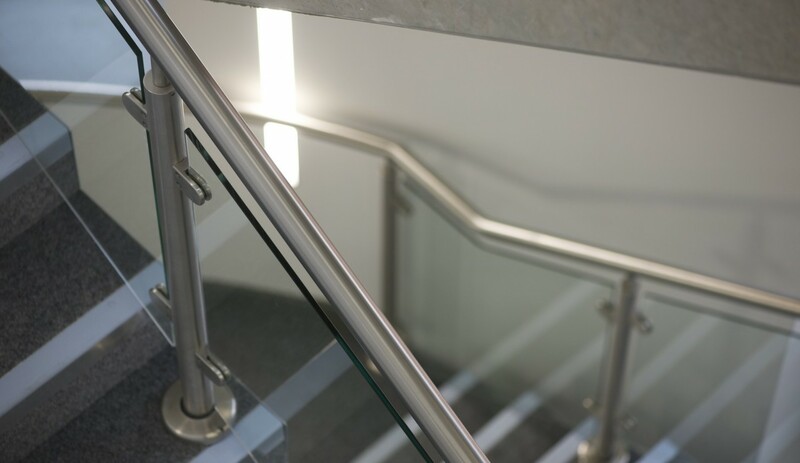 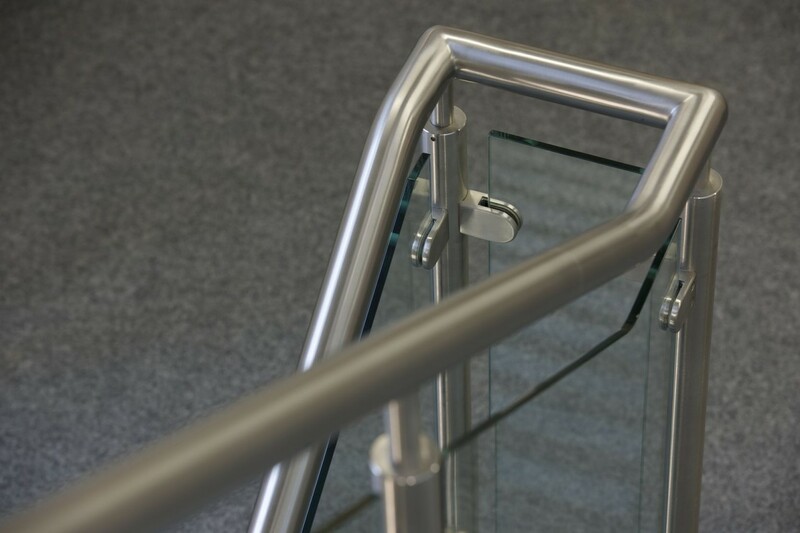 Using 15mm toughened glass panels secured to the ground with our ICE channel fixing system, offset satin stainless steel brackets were fixed through the glass to hold the B10 stainless steel handrail. 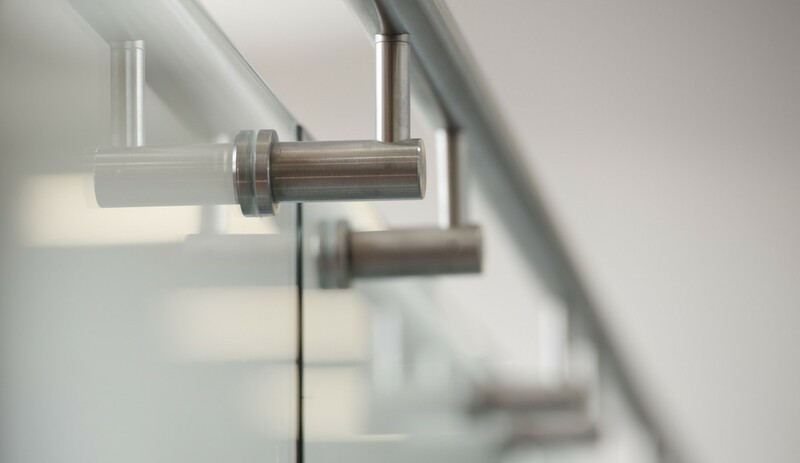 The result was a clean, minimalistic system, easy to maintain that will keep its pristine quality for years to come.